Sam Walton Biography and Net Worth, Who are His Family Members? Home Celebrities Sam Walton Biography and Net Worth, Who are His Family Members? Sam Walton is no more, but his legacies as an American businessman and entrepreneur lives on many decades after his death. He is the founder of Walmart and Sam’s Club, and in addition was at a time, the richest man in America. Sam revolutionize how retail business is done in America when he was growing Walmart; through sheer doggedness to succeed and a firm belief in what he thought-out to be best practices for beating the competition, the acute businessman built a legacy that has remained long after he went to be with his maker. Read on to learn how he started, his net worth and family members. Samuel Moore Walton, the founder of Walmart and Sam’s Club, was born on the 29th of March 1918 in Kingfisher, Oklahoma to Thomas Gibson Walton and Nancy Lee. He had a younger brother – James, who was born in the year 1921. The Walton’s lived on a farmhouse until 1923 when the patriarch of the family left farming for farm mortgaging. They subsequently moved around a lot during the great depression from Oklahoma to Shelbina, Missouri and to Columbia, Missouri where Sam would come to graduate from David H. Hickman High School in 1936. In his high school days, the late entrepreneur played as a quarterback for his team and upon his graduation, was voted as the “Most Versatile Boy” by his class. Following his high school graduation, Sam Walton enrolled to study economics at the University of Missouri as a Reserve Officers’ Training Corps (ROTC) cadet. His college days were also marked by his membership of Zeta Phi chapter of Beta Theta Pi fraternity, his tapping by QEBH, and honoring by Scabbard and Blade, a national military honor society. Additionally, Sam was the president of Burall Bible Class which was constituted of students from the University of Missouri and Stephens College, he was voted the permanent president of the class when he graduated in the year 1940. Sam Walton began his post-college life as a management trainee at J. C. Penney, an American department stores located in Des Moines, Iowa. He worked for a year and 6 months here before resigning in 1942 to serve in World War II as a U.S. Army Intelligence Corps who supervised security at aircraft plants and prisoners in war camps. While in the military, Walton was deployed at Fort Douglas in Salt Lake City, Utah where he attained the rank of captain before retiring in 1945. The then former J. C. Penney employee ventured into business with a loan of $20,000 he collected from his father-in-law and $5, 000 of his own money which he saved up from his earnings as military personnel. With this money, Sam Walton acquired Ben Franklin franchise in Newport, Arkansas which he grew to include 15 other stores with his brother in less than two decades. However, being that he didn’t entirely own the store and his request to expand into rural communities and strategy of selling products at prices below his competitor’s to attract more customers and increase turnover fell on deaf ears, Walton was so frustrated that he set up his own store – the first WalMart store – on July 2, 1962, in Rogers, Arkansas. Walton’s strategy to grow Walmart was setting up stores in smaller towns so long as they were within a day’s drive to Walmart’s regional warehouses, in addition to this, he bought products in large volumes mainly from American manufacturers at a price low enough to compete with foreign merchandise. Then, he distributed to his stores with his own trucking services and ensured that Walmart’s shelves hardly ever ran out of stock. 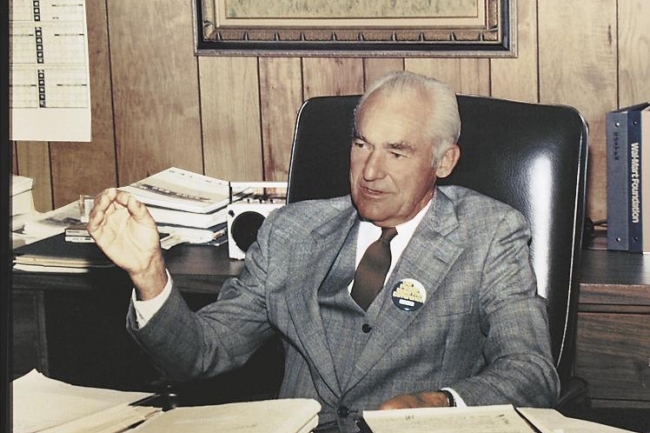 With these practices and his other business strategies, Sam Walton was able to grow Walmart from 190 stores in the ’70s to hundreds of thousands all over America. To this day, the store remains under the ownership of his family with millions of employees. When Sam Walton began working at J. C. Penney as a management trainee, his emolument was $75 a month and by the time he served in the U.S. Army Intelligence Corps during World War II, the Kingfisher, Oklahoma born entrepreneur had saved up $5,000. He added that to the $20,000 loan he got from his father-in-law in 1945 at the age of 26 and with this, he made wise investment/business decisions in retailing, setting up Walmart which grew to be one of the world’s largest companies by revenue. This placed Walton and his family as the richest in America with a net worth of about $175 billion. Sam was consistently named by Forbes as the richest man in the world from 1982 through 1988 and he only lost the recognition when the magazine decided to consider his wealth as jointly held by his family and not just by him as an individual. 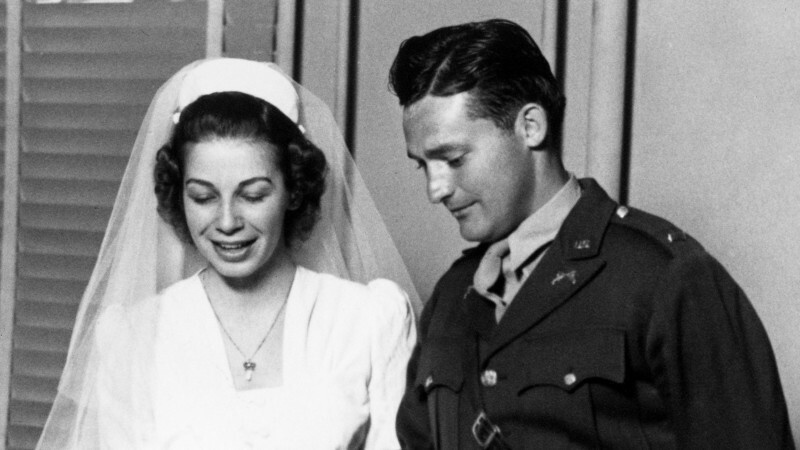 Sam Walton married Helen Robson in the year 1943 and precisely on the 14th day of February that year. The couple had 4 children together who are: Samuel Robson Walton (Rob, born in 1944), John Thomas Walton (born in 1946 – died in 2005), James Carr Walton (Jim, born in 1948), and Alice Louise Walton (born in 1949). The family is a devout Christian one and while he was alive, Sam and his wife Helen worshiped at First Presbyterian Church of Bentonville. The billionaire entrepreneur was an Elder and a Sunday School teacher who taught adolescents in the church. Indeed whatever that has a beginning definitely has an end and Sam Walton’s life came to a halt on the 5th day of April in the year 1992 in Little Rock, Arkansas after multiple myeloma (a type of bone cancer) sent him to the great beyond. He was buried at Bentonville Cemetery but his legacies as one of America’s foremost retailers still lives on many years after his death.